"Topo" Card Case a simple and minimalist hand-stitched wallet to store your most important card or some cash. 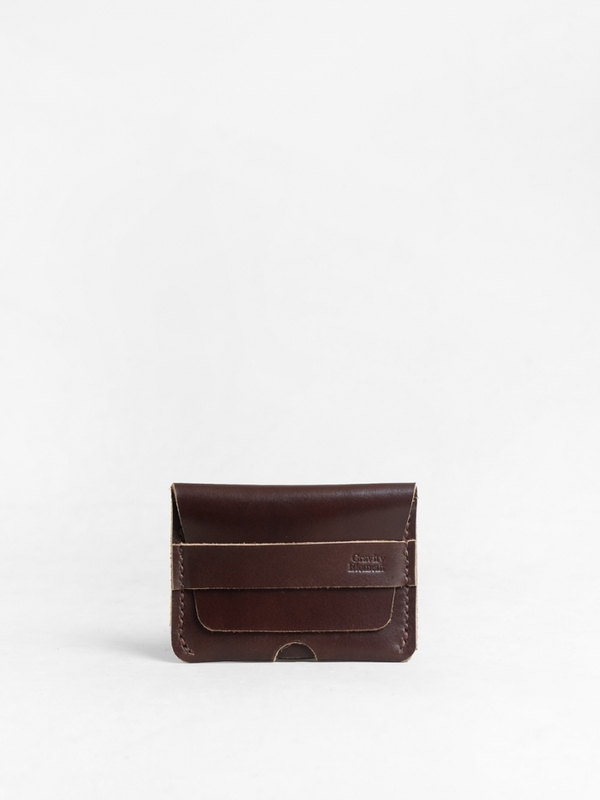 Made from genuine pull-up leather, featured with a hole at the bottom so you can easily push and pull your card. Features: 2 main pocket to hold 3-6 cards or cash. Note: Please consider the character of leather may vary depends on stock.